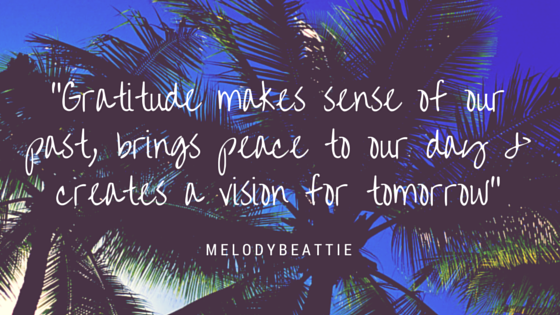 Gratitude is one of the most powerful things that we can experience. Starting and ending your day on a positive note is so important. Not only are you setting yourself up for a more productive & emotionally perceptive day. You’re also bringing that energy with you into the next day & surrounding your colleagues/family/friends with it. Here are the three things that, I think, we should all take the time to appreciate. Nobody enjoys being ill, bound to their bed for days, unable to exercise and get any air or even appreciate the taste of good food as a nasty cold messes with your taste buds. At least, that’s how I felt this week. I sat, curled up in my blanket, wishing I could rewind to four days before when I was absolutely fine. I could finish my sprint session and have the energy to go to work and have a pretty productive day. When we’re busy worrying about how much work we have to do & bills to pay we often forget the most vital thing – that no amount of money can buy. And it shouldn’t take being riddled with pain or suffering from the flu to appreciate it. Remember – if you’re fit & healthy you have something that many people would love. It’s absolutely priceless. When we’re in school we have an opportunity to see our family and friends freely. We get a bit older and the responsibilities begin to increase yet the time scale to get everything done doesn’t! Yes, we do have a job to do, children to raise and deadlines looming. But, can you find a few seconds to text your best friend and let them know that you’re thinking of them? Five minutes to call your parents? Everyone loves to know that they’re cared for and appreciated. Try and take some time out of your day to tell them that. We all go through hard times at some stage. Facing difficulties contribute to our growth and development much more than people may think. It’s always worth remembering that no experience, no matter how bad it may seem, is pointless. These trials are an opportunity to be challenged and better ourselves. All things exist in opposition to one another, after all, you can’t know happiness if you haven’t been sad. You can’t appreciate the good if you haven’t experienced the bad. Your greatest struggle can also become your greatest triumph. Allow yourself to gain something positive from it. When you do have a moment when everything is going in the right direction, enjoy it because that time is so precious. Be happy, be grateful and share the love.